The rugged and reliable AE-700 Series office typewriters offer an extensive array of performance features, top of the line speed and the versatility to handle all typing requirements. The AE-710's are an unbeatable value. Nakajima is one of the most popular typewriters in the world. 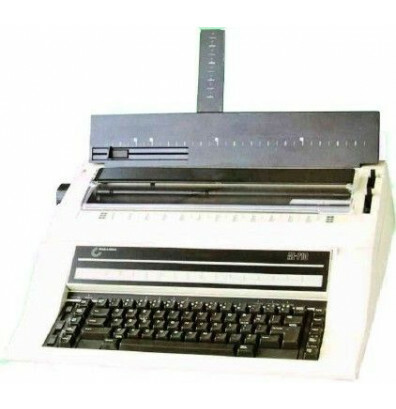 The AE-710 is the most affordable typewriter in the AE Series. 10 Line / 700 character correction memory. Automatic centering and underlining. Automatic word correction. Paper capacity 15". This typewriter is also available in an Spanish language format. The typewriter has been an excellent purchase for the money I spent.